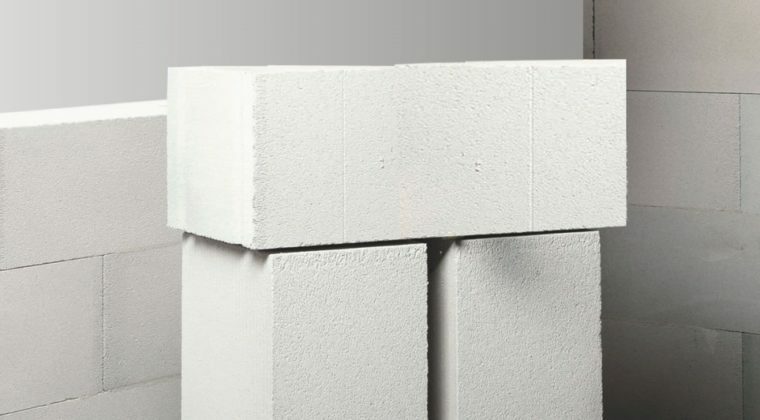 AAC or Autoclaved Aerated Concrete Blocks are light weight, precast, high- insulating, load bearing, durable building product, which is available in the market in a wide range of sizes and strengths. The Autoclaved Aerated Concrete or the AAC material was first developed in Sweden in 1924. It is very popular building material of its kind in Europe and is rapidly accepted worldwide. The material used to produce the AAC Blocks are lime, sand, cement and water, a small amount of rising agent. Fire Resistant: As per the thickness of AAC blocks, they have the fire resistance from 2hours up to 6hours. Pest Resistant: The materials used to make AAC blocks are inorganic, which helps preventing/avoiding pests like termites. Sound Proof: The porous characteristic of AAC blocks help in sound absorption. The Sound Transmission Class (STC) rating is up to 45db, which makes it an ideal material for the construction of walls in auditorium, hotels, studios, hospitals etc. Earthquake Resistant: The light weight property of AAC blocks makes it an ideal construction material. Faster Construction: As the AAC blocks are very convenient to handle and use ordinary tools which are used to cutting the wood such as drill, band saws, etc. can be easily used for AAC blocks. Apart from that, the AAC blocks come in large sizes, so have fewer joints which ultimately results in faster construction. Long Lasting: AAC blocks are very strong and durable. It is manufactured from non- biodegradable materials, which neither rot or mould. Cost Saving: AAC blocks are not only lighter than red bricks but also cheaper than the red bricks. Non- Toxic: AAC blocks do not contain any toxic gas substance. High Compressive Strength: The block has an average compressive strength of (3- 4.5) N/mm3 which is superior than most of the other light- weight blocks and is 25% stronger than other products of the same density. Thermal Insulation: AAC blocks has an exceptional thermal insulating qualities which help maintaining the inner temperature to warm during the winters and cool during the summers which leads to savings in air conditioning load and consequently enhance energy efficiency. Moisture Resistance: AAC blocks avoid both external and internal sources of moisture which can cause damage to buildings. Environmental Friendly: AAC blocks is a non- toxic product which does not pollute the air, land or water, neither while being manufactured or during construction. Light Weight: One of the unique features of AAC block is its light weight. It is 3 times lighter than red bricks. High Resistance to Water Penetration: The cellular and discontinuous micro structure of the AAC blocks make it superior than normal clay bricks in resistance of water penetrability and thus it provides better resistance to moisture penetration.